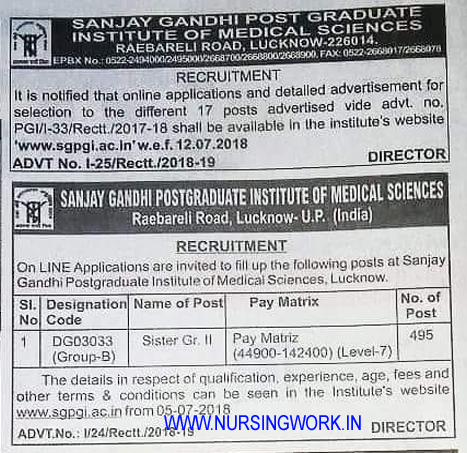 Professinal/Desirable Qualification: Diploma in General Nursing and midwifery from a recognized institute or equivalent qualification for male Nurse. Preference to those having 3 years exp. in a large hospital or Medical College or B.Sc. Nursing should be a registered “A” Grade Nurse & Midwife with a State Nursing Council or equivalent qualification for Male Nurses. The On-line Registration will be started from 09/07/2018.